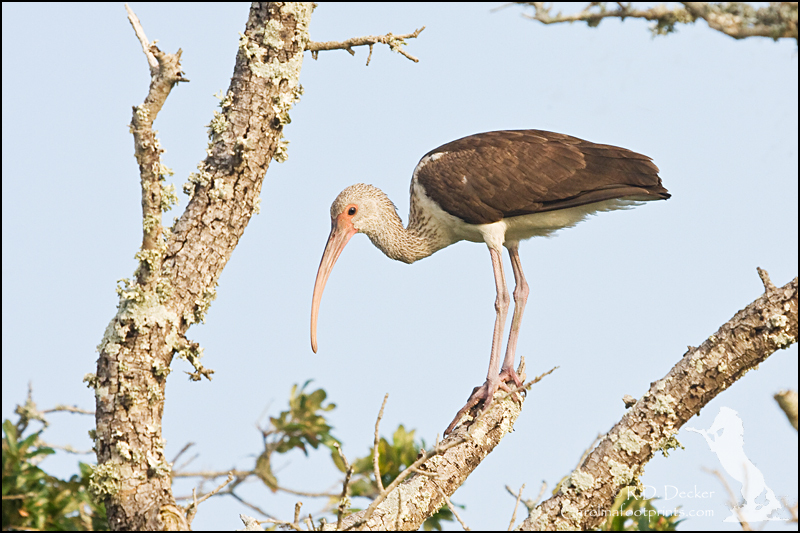 The White Ibis exists in large numbers along the eastern Carolina coast. I see many, many of them and, to be honest, find photographing them to be a bit boring. While the down curved bill is kind of interesting the plain white plumage is kind of… well… ho-hum! That said, I find the young birds quite a bit more interesting. 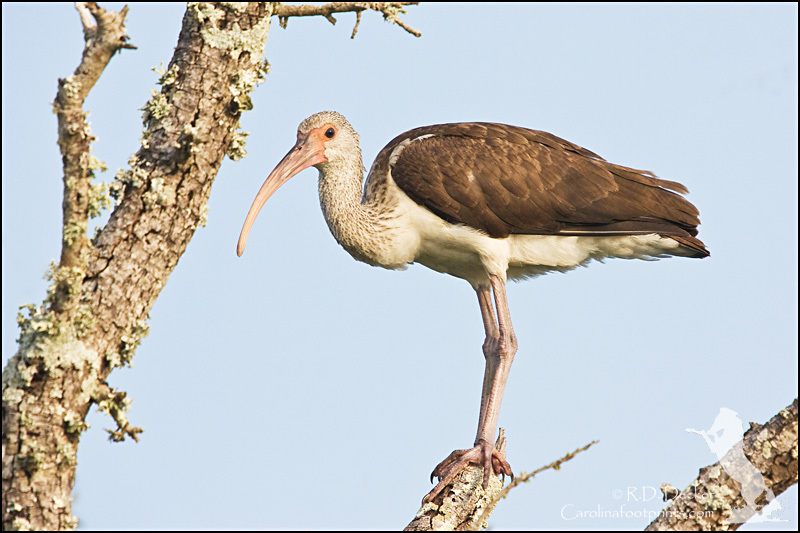 Immature White Ibis are anything but white! The browns and grays make their plumage more interesting… at to me. While paddling along Taylor’s Creek the other morning, on my way to visit the wild horses hanging out on Town Marsh Island, I came upon a juvenile White Ibis perched in a tree. I couldn’t resist stopping to take a few photos. I thought the bent, crooked limbs of the tree created an interesting frame around the bird. Below are a couple of the resulting images. This entry was posted in Avian Photography, General Photography, Natural History in the Carolinas, Nature Photography, Wildlife Photography and tagged avian, Beaufort, Bird, Crystal Coast, Nature, NC, North Carolina, Photography, Rachel Carson Estuarine Reserve, shorebird. the last couple of mornings we had sightings of this bird…but today a small flock came in and set down on a lot across the street…the other siting 3 or 4 of them walked along the road onto our property….we are 150 or so feet from the intra coastal and across from a canal.